I put up Thanksgiving decorations this year to ensure that I wouldn't put up my Christmas decorations too early, but my plan failed.This weekend I decided I couldn't wait any longer, and our house is now a winter wonderland. 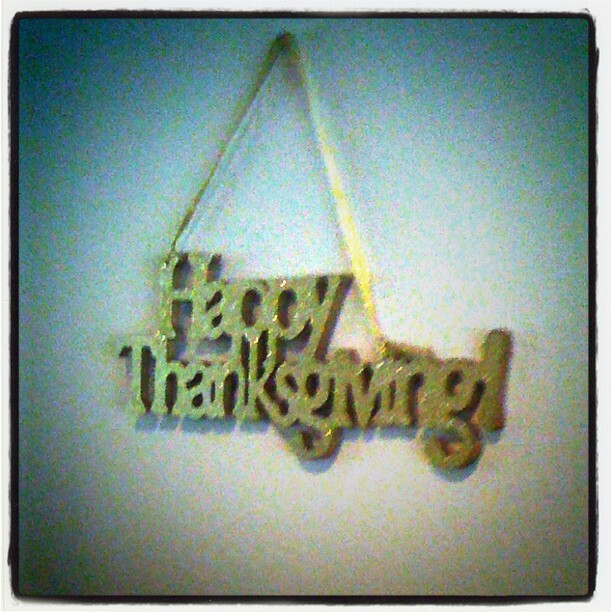 I'll post pictures of our Christmas decs soon, but for now I'll share our short-lived Thanksgiving decor. $2 find from Hobby Lobby! Owl napkin rings that I got for free for my birthday from World Market! If you're not signed up, do it. They give you $10 to spend on your birthday! We found a Thanksgiving dinner for Toby at Target! It has a turkey, roll, baked potato, green beans, and corn on the cob served on a frisbee plate. I can't wait to give it to him on turkey day!